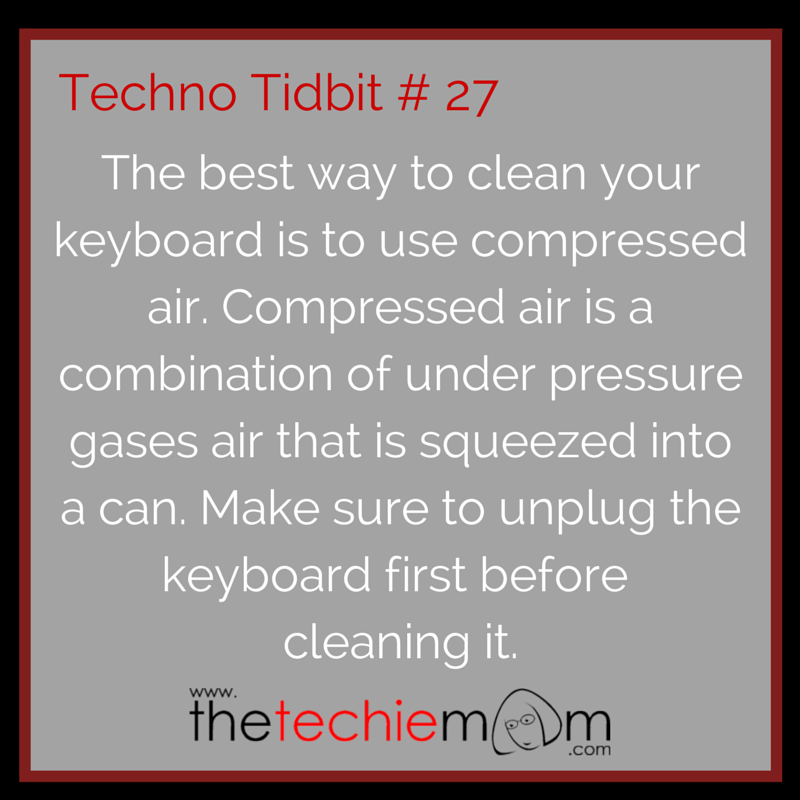 Techno Tidbit #27: The best way to clean your keyboard is to use compressed air. Compressed air is a combination of under pressure gases air that is squeezed into a can. Make sure to unplug the keyboard first before cleaning it. You can find cans of compressed air at your local hardware or computer shops.